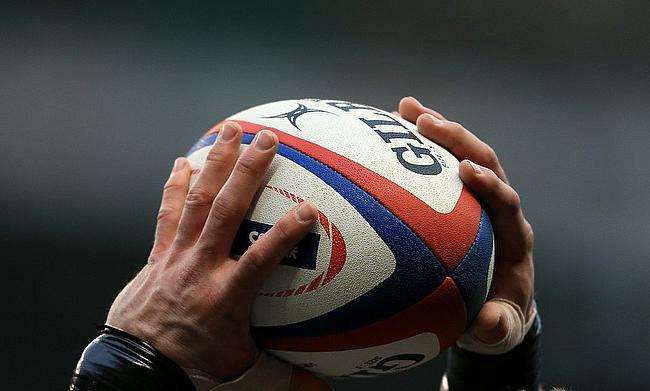 France went on to clinch their fifth Grand Slam following their 3-38 win over Wales in the final round of the Women's Six Nations Championship. Pauline Bourdon got France off the mark with a sixth minute try that was converted by Jessy Tremouliere and the lead soon doubled in the 12th minute when Caroline Drouin went past the line. Wales finally managed to open their account with a 36th minute penalty from Robyn Wilkins but that remained the only points for them in the game. Tremouliere further extended the lead to 3-19 at half time with a touchdown in the 40th minute. Wales suffered further setback when Jasmine Joyce was sin-binned for tackling without the ball and to make things worse a penalty try was awarded to France. Further tries from Agathe Sochat (57') and Carla Neisen (68') saw France complete 3-38 victories in Colwyn Bay. Danielle Waterman (11'), Marlie Packer (26') and Amy Cokayne (30') scored first-half tries for England with Katy McClean slotting two conversions while Ireland's response came from a penalty apiece from Hannah Tyrrell and Niamh Briggs as they trailed by 19-6 leading into the break. There were no respite whatsoever for Ireland as England scored two more tries coming from Ellie Kildunne (51') and Amber Reed (64') to take their tally to 33 points while a 71st minute touchdown from Claire Molloy helped Ireland reduce the losing margin to 22 points.